This theatre is the second largest of its kind in Sicily, after that of Syracuse. The most remarkable monument remaining a Taormina is the ancient theatre (the teatro greco, or “Greek theatre”), which is one of the most celebrated ruins in Sicily, on account both of its remarkable preservation and of the surpassing beauty of its situation. It is built for the most part of brick, and is therefore probably of Roman date, though the plan and arrangement are in accordance with those of Greek, rather than Roman, theatres; whence it is supposed that the present structure was rebuilt upon the foundations of an older theatre of the Greek period. With a diameter of 109, metres it is frequently used for operatic and theatrical performances and for concerts. The greater part of the original seats have disappeared, but the wall which surrounded the whole cavea is preserved, and the proscenium with the back wall of the scena and its appendages, of which only traces remain in most ancient theatres, are here preserved in singular integrity, and contribute much to the picturesque effect, as well as to the interest, of the ruin. From the fragments of architectural decorations still extant we learn that it was of the Corinthian order, and richly ornamented. Some portions of a temple are also visible, converted into the church of San Pancrazio, but the edifice is of small size. Since 1983, the most important performances are realized by Taormina Arte, the cultural institution which organizes one of the most famous music theatre and dance festivals. 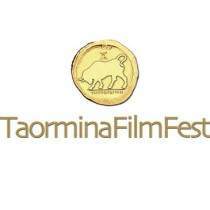 Within the program of Taormina Arte there is the Taormina film fest, the well- known cinema festival, the heir of the Cinema festival of Messina and Taormina.